Emanuele Colonnelli works at the intersection of finance and development, with a special interest in high-growth entrepreneurship and talent allocation in emerging markets, and in the interaction between governments, institutions, and firms. 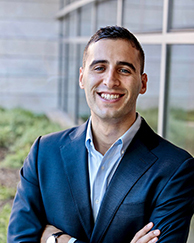 He is the recipient of a number of grants and awards, such as the AQR Top Finance Graduate Award and the Kauffman Dissertation Fellowship in Entrepreneurship. He also has research and work experience in several countries including the U.S., Brazil, Uganda, Bangladesh, Malawi, and India. Colonnelli holds a PhD Economics from Stanford University, a BSc in Economics from the University of Siena, an MSc in Economics from Bocconi University, and he spent an academic year visiting Pembroke College, Oxford University. This paper investigates the consequences of liquidation and reorganization on the allocation and subsequent utilization of assets in bankruptcy. Using the random assignment of judges to bankruptcy cases as a natural experiment that forces some firms into liquidation, we find that the long-run utilization of assets of liquidated firms is lower relative to assets of reorganized firms. These effects are concentrated in thin markets with few potential users, and in areas with low access to finance. These findings suggest that when search frictions are large, liquidation can lead to inefficient allocation of assets in bankruptcy.